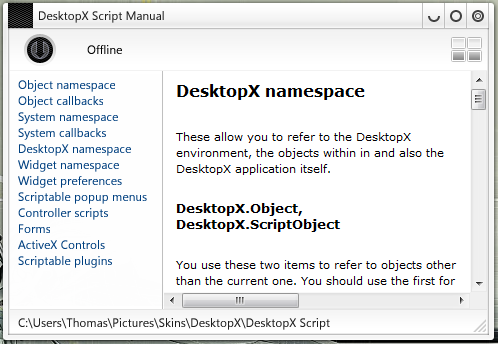 Direct access to the DesktopX script manual. Allows the user to cache the manual for offline use. Coming versions will include the whole manual and tutorials.